Genpact Company Information Is this your company? Add your own content to this page. We currently have 21 open jobs at Genpact. 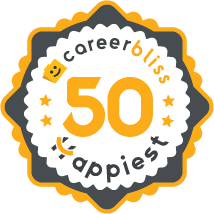 We've calculated that the average salary at Genpact is $60K based on 194 user-submitted salaries A total of 43 Genpact employees gave Genpact an average happiness rating of 4.1 out of 5.0. 7 Assistant Managers from Genpact submitted salaries. 4 Genpact has given me the greatest of opportunities in my career. The best thing I liked about this organization is the different roles that you can work on even at the entry level. So even before you can realize, you hone managerial and other important skillsets. 4.3 Genpact as a firm offers analytical services, risk analytics and other consulting services from data management to strategy building for customers. It has his operations in 25 countries catering to major service, manufacturing industries In my last 4 years I have got to learn so much from the two roles I have handled there. I not learnt about new process but got expertise in excel, SAP, Hyperian and other platforms. 1.8 Although there is extensive training to learn the product, the tools are not easy to use and typically the people taking the calls know way more than the supervisors. You are scolded for asking questions and frowned upon when truly wanting to help the customers. You get a bonus dangled in front of your nose every month, but are set up for failure when you are not given the time you need to follow up with customers or the authority to offer credits which you are never allowed to give.